Manjula Devak, 28, a PhD scholar, was found hanging from the ceiling fan of her room at Nalanda Apartment. She worked in the US for sometime but returned to study at IIT Delhi. Manjula lived in the apartment with her husband and family members. A research scholar at Indian Institute of Technology (IIT) Delhi allegedly committed suicide in her room on Tuesday evening. Delhi Police said Manjula Devak (28) was found hanging from the ceiling fan of her room at Nalanda Apartment on the campus. The police received a call around 7.45 pm from a friend after which a PCR van reached the spot and took her to a nearby hospital where she was declared brought dead. 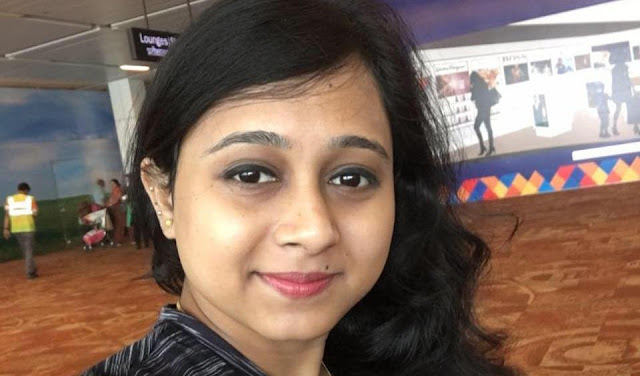 Manjula, a civil engineer pursuing a PhD in water resources, had earlier worked in the US but returned to join IIT Delhi. Originally from Indore, Manjula lived in the apartment with husband Ritesh Virha. He was in Indore at the time at the time of the incident. No suicide note was found in her room. Neighbours said that Manjula was last seen on Monday night. Her friends told the police that they were alarmed after all phone calls made to Manjula went unanswered. Once at her apartment, they found it locked from inside. They later informed the police who broke open the door and found Manjula hanging. One of the friends told the police that she did not suspect anything wrong with her. Police were told that she looked happy and had recently submitted a paper. Police are now waiting for the report of a post mortem examination, which will be conducted on Wednesday. Meanwhile, the police have seized Manjula’s laptop and cell phone. “ We will check the call data records and inform the SDM. The SDM will ask her family members to join investigation,” said an officer while adding that Manjula got married to Ritesh in 2013. SDM has to be roped in by the police in such cases if a deceased had been married for less than seven years. Though the reason for the alleged suicide is not known yet, IITs have faced criticism for failing to cut stress on students, which has led them to take extreme steps in the past. In May this year, a 19-year-old student at the Indian Institute of Technology-Delhi (IIT) allegedly jumped off from the fourth floor of Vidhyanchal Hostel and suffered multiple fractures. Nitish Kumar Purti, an Engineering Physics student had joined IIT in 2016. Police said that he was depressed as he was forced to take up the course and could not cope with pressure. A few days earlier, a third-year chemical engineering student, Jitesh Sharma, was found dead on a terrace of a hostel in IIT Bombay. He left behind a suicide note which, police said, suggested he was under depression.